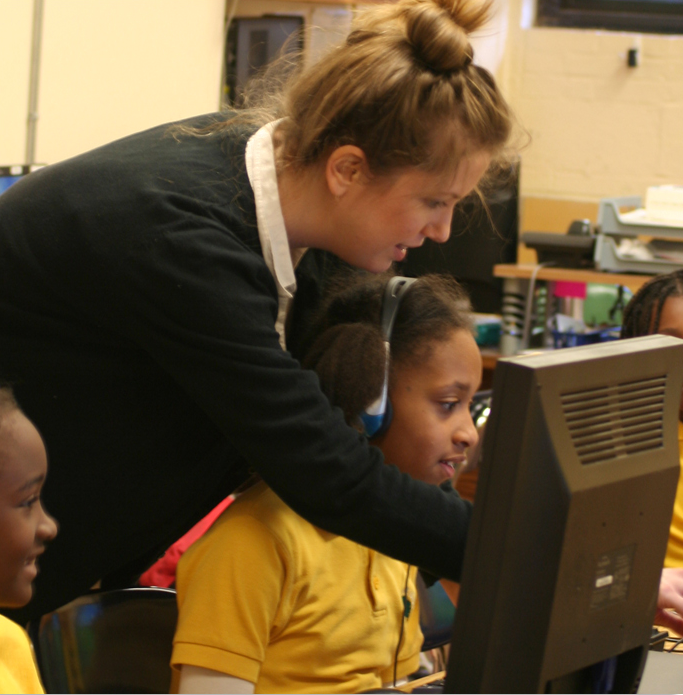 New Hope Academy’s Elementary and Middle School Program is fully certified by the Maryland State Department of Education. Located on an eight-acre campus in northern Prince George's County, MD, this spacious (former public school) offers a superior, well-rounded education. NHA is a STEAM school combining a strong Science, Tech, Engineering and Math curriculum with a broad commitment to the Arts, including music, art, dance, drama and performance. Facilities include a science lab, tech lab, library, art studio, dance studio, foreign language classrooms, music and fine arts rooms and a gymnasium. Early and After-School Care available along with sports, dance, martial arts, extracurricular activities and specialized Summer Day Camps. 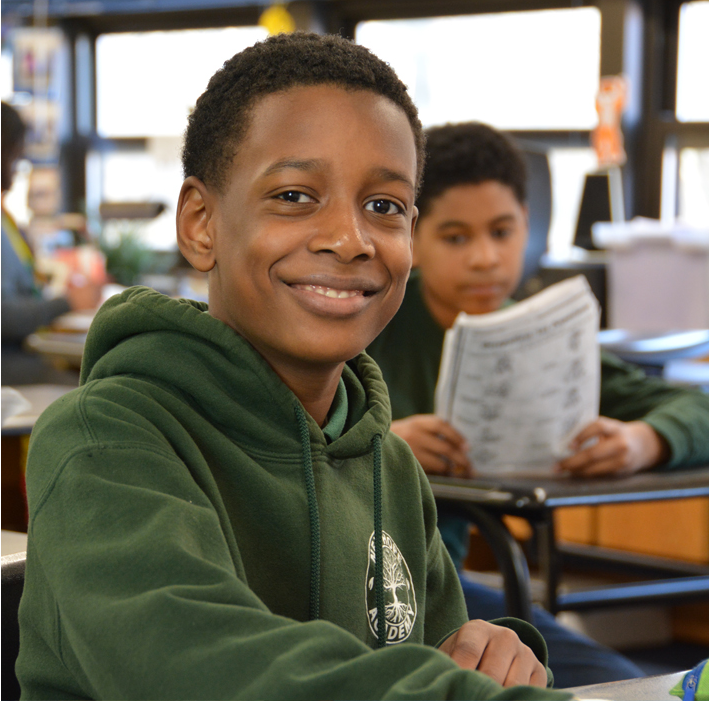 Founded in 1990 by parents NHA focuses not only on the mastery of subjects but also on the education of the whole child, including the intellect, health, creativity, character, emotion, and heart of the child. Emphasis is placed on guiding children to become people of integrity with a strong moral compass. Service learning, The Gambia Project, Ace Team, and other activities promote global awareness, gratitude, and sensitivity to the needs of others and our world. Our school culture encourages healthy relationships of respect, empathy, listening, and self-discipline. Everyone endeavors to make school fun, to set a joyful tone. Mistakes are viewed as “opportunities to learn.” Research shows that a positive attitude and emotional control are strong predictors of life success. A friendly, family-like atmosphere exists in our classrooms, with an open door policy for parents. NHA is an emotionally and physically safe environment, where we carefully work through problems and conflicts as they arise. Communication skills, emotional self-control techniques, and conflict resolution skills are taught at all age levels creating a supportive learning environment. Parents, teachers, and older students are expected to be role models to younger students. 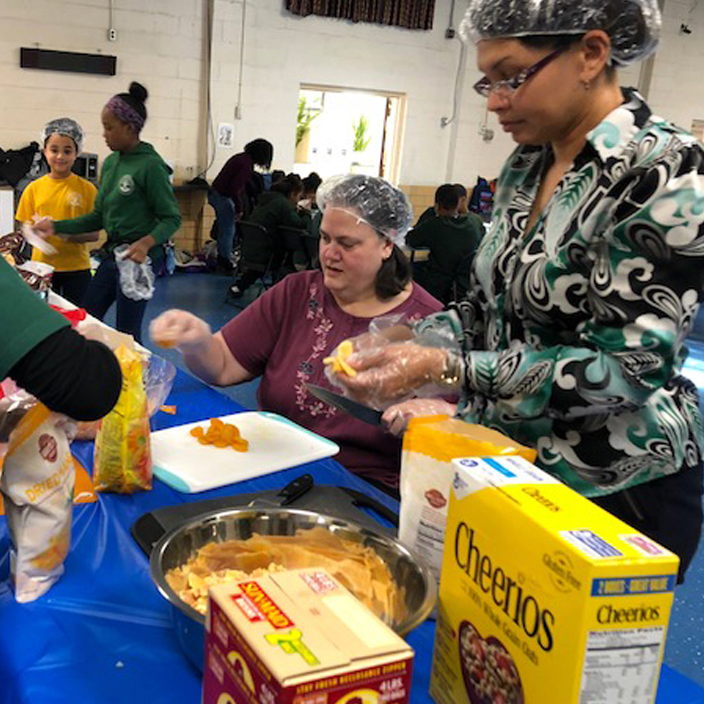 NHA has a mentoring program where middle school students spend one hour a week volunteering in elementary and preschool classrooms learning how to nurture and support the younger students. NHA is committed to promoting a healthy mind and body. Recess is held daily through 7th grade. A wide array of sports, dance and activities are offered as extra-curricular options. We welcome children of all faiths, cultures, and ethnic backgrounds. NHA parents have created a character education program that includes a theme of the week universal to all faiths, promoting virtues such as responsibility, self-discipline, honesty, forgiveness, respect, and kindness. NHA faculty, staff, and students represent over 20 faiths and more than 35 nationalities. READING: Acquisition of critical reading skills, exposure to good literature, and the ability to communicate effectively through the written word are essential for success in today’s world. NHA teaches a solid phonics-based reading program in preschool through second grade. By kindergarten, all students are reading, and children begin reading classic novels by the 2nd and 3rd grade. Students write short stories in kindergarten and by 3rd grade become very articulate and familiar with the written word. 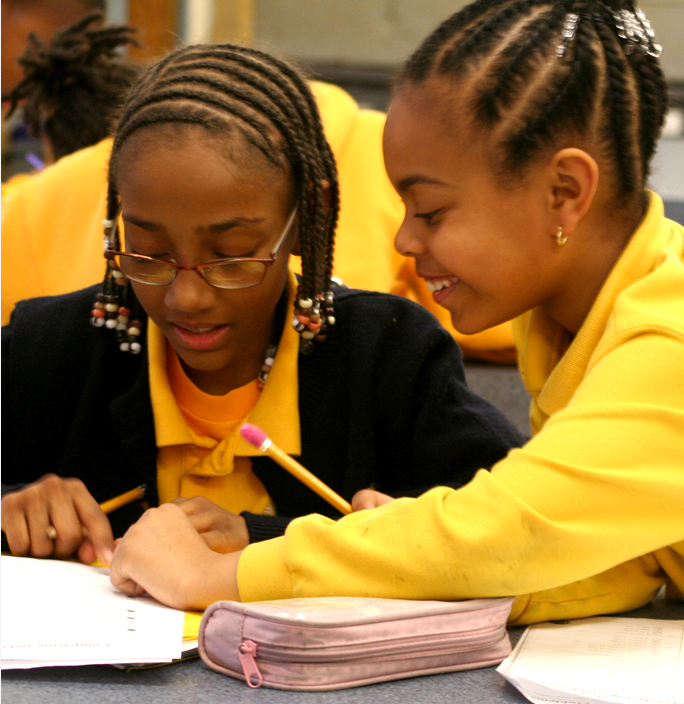 Building on this foundation, older students refine and apply critical reading and writing skills across the curriculum. MATH: The Saxon Math program is implemented in PreK through AP Calculus. Using manipulatives through the 4th grade, Saxon Math emphasizes constant review and practice of all concepts embedded within the program. 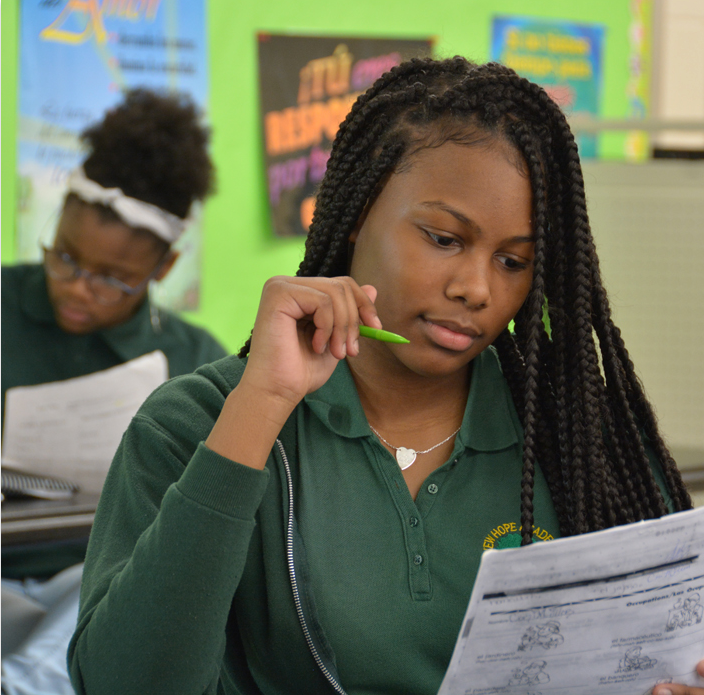 In grades 5-12 students are individually assessed and placed in the appropriate math level for a full 65-minute period daily. Standardized tests show a high level of student math competency school-wide. METHODOLOGY: Teachers often extend learning beyond the textbook by making use of cooperative learning, projects, science experiments, hands-on and self-discovery learning, and field trips. Students also participate in various competitions like the National Geography Bee, the Prince George’s County Spelling Bee, and science and robotic fairs. Teachers are selected for their experience and academic background, as well as an ability to cultivate curiosity and self-motivation. They know when to challenge and when to support, when children need to be encouraged to seek their own answers, and when they need someone to direct them. Reasonably sized classes, of 21 children or fewer, allow teachers to address differences in children’s learning styles and to give them individual attention. Our mission is helping children to realize their unique value as individuals and their personal genius, and to discover the gifts and talents they have to offer to the larger community. From the family to the world level, children need to perceive themselves as existing in relationship with others and to understand that their actions have meaning and consequence. Critical to the success of New Hope Academy is the involvement of parents. Parents are viewed as the first educators of their child and work closely with the teachers to ensure their child’s academic success and personal development. School-to-home communication is facilitated by an active PTA, the posting of weekly homework assignments on the NHA website, a weekly school newsletter, and completed work is sent home weekly. enrollment, and other details, please see our school profile page. For more information about tuition, please see our tuition page.